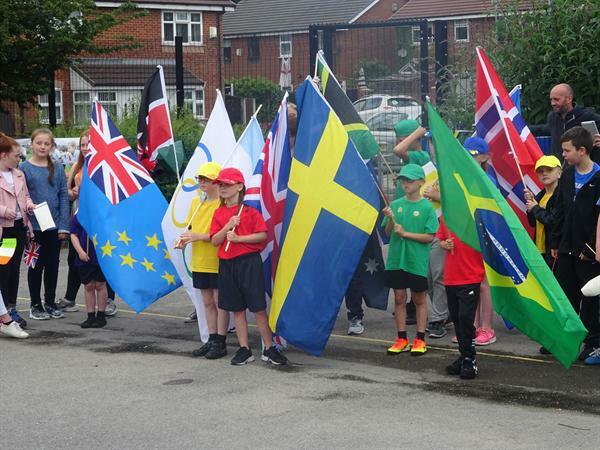 We had a terrific time this morning as Holy Spirit took part in the Netherton schools’ Olympic Baton Relay event. 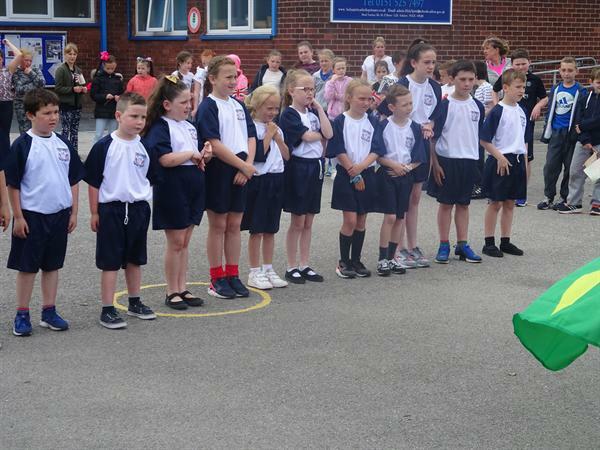 The school community gathered on the playground as Rocky and Chariots of Fire played in the background. 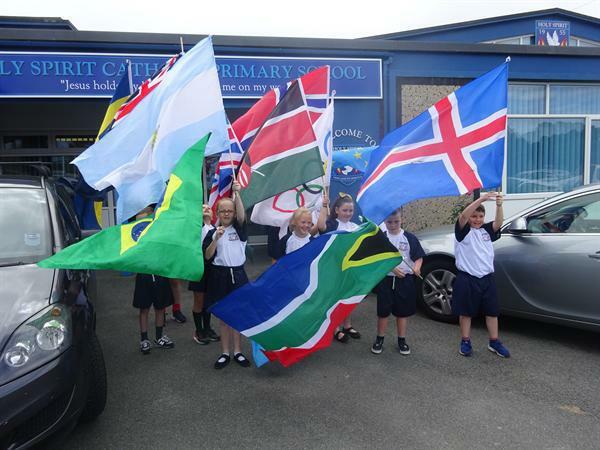 We all waved flags and welcomed a team of staff and children from Netherton Moss. Year 4 and 5 pupils then entertained our visitors with their superb 1950’s Grease Lightning dance which they have worked on with Mrs Chellew. 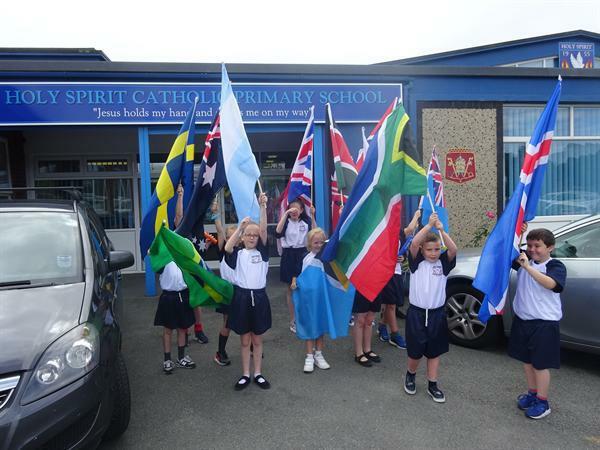 Our team of children then took up the baton and international flags, travelling on to Our Lady of Walsingham were we in turn received a warm welcome. All commented on our amazing new sports kit and how the children look outstanding in it.